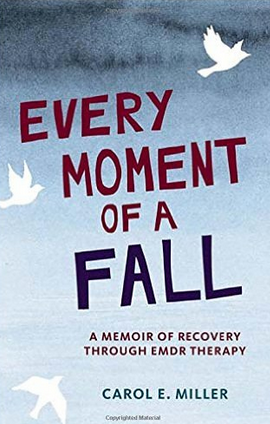 Carol’s true account of her life, beginning with a plane crash that killed her sister and severely injured her and her parents, through her turbulent years, ending with healing through EMDR – Eye Movement and Desensitization and Reprocessing. The book jacket describes this as “a brave and revealing memoir of recovery and a vividly narrated account of the author’s experience using the increasingly popular eye-movement therapy developed to heal the wounds trauma leaves in its wake.” A good read for anyone who has experienced trauma. An excellent resource for researching alternative methods of therapy. It sounds interesting, and I just reserved it at the library. Wonderful, Skye. It is a very interesting story and a well-written memoir. . . tight, concise writing. I’d love to hear what you think after you read it. And I always welcome book reviews on The Write Spot Blog.